Kim Kardashian West has shared the first photo of her family of five. 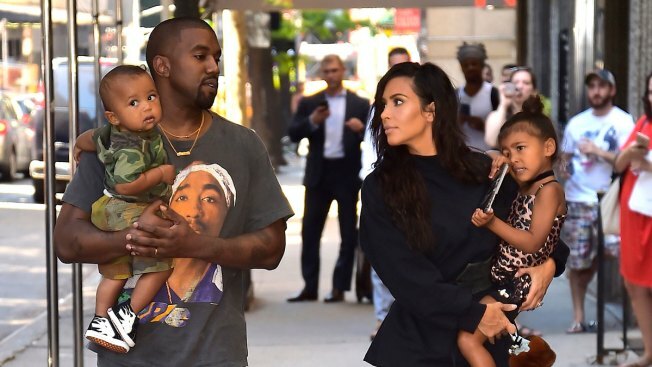 The reality star posed with husband Kanye West, daughters North and Chicago, and son Saint in the photo, which was taken on Easter. Kardashian wrote on Facebook: "I don't think you really understand how hard it is to take a good family pic." She said it was all they got before "all three kids started crying." The 37-year-old said she thought she also cried. She also tweeted that while she was holding her baby, Chicago, in one hand, her other hand had ahold of Saint, who kept running away.